The last line. This was the last line I had to take to be able to say that I've taken every line on the MBTA. The SL2 to the Design Center ended up being a very interesting ride, although also a very useless one... I got excited right off the bat, as the bus turned out to be one of the "purple destination board" buses - these are some Silver Line buses that have purple destination boards. It's nothing really special, but it was nice to ride one. The SL2 starts out in the underground transitway along with the SL1. There were only about six or seven people on the bus leaving South Station. No one got on or off at Courthouse, obviously, and one person got on at World Trade Center. When we got to Silver Line Way, the electric to diesel transition took - literally - a few seconds. I was actually dumbfounded! They never make the conversion this quickly! Everyone got off the bus at the next stop, with only me left. Shortly after Silver Line way, it gets very industrial. 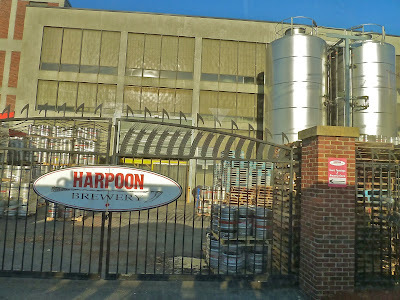 The bus turns onto Northern Ave (travelling with the 4 at this point) and enters the Boston Marine Industrial Park. Along here there are some small factories, as well as a surprisingly large parking garage. It then turns onto Tide Street and again onto Drydock Ave (going by an insanely pointless public toilet). The bus turns onto Design Center Place, right in front of the Design Center, and then turns again onto Black Falcon Ave (at least, I think it is - it appears as an unnamed street on Google Maps). The street makes a U-shape as the bus goes by parking lots and more industrial buildings, and then it turns back into Drydock Ave. 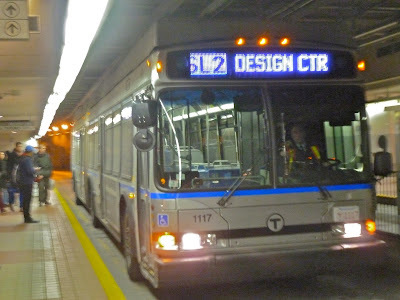 The bus got to the official "Design Center" stop, and the driver turned it off. He started to walk out, and then he looked back to see he had a passenger in the back of the bus. "Where are you going?" He shouted to me in a very angry voice. I decided to tell the truth and said I was just taking it for fun. "Oh, okay." He said. "I leave in four minutes." While the driver was outside smoking, I looked around at the scenery: a random parking lot, the Design Center, and the deserted cruise ship terminal. The driver soon got back in the bus and we set off down Drydock Ave. On the left are even more random industrial buildings, and on the right is the massively long Design Center building - divided into separate buildings, apparently, as the stop names at this point are simply along the lines of "Building 55." Drydock Ave soon turns to the right, and the bus goes by some impressive tanks. It then turns onto "unnamed street," which runs only a few feet from the water with only a tiny fence in between. 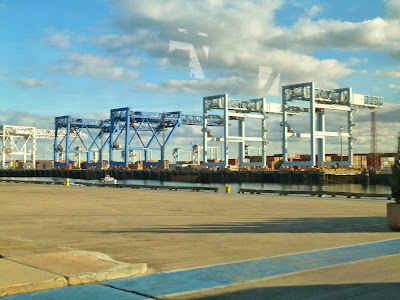 There was a lovely (kind of) view from here of some massive cranes. It's only for a few seconds, however, as the bus turns onto another unnamed road inland. This was taken a little before the bus turned onto the road by the water, but you can see how small that fence is. There's actually a stop over here, and two people got on at it. It then goes onto Black Falcon Ave, a deserted, industrial road between the Design Center and the cruise terminal. 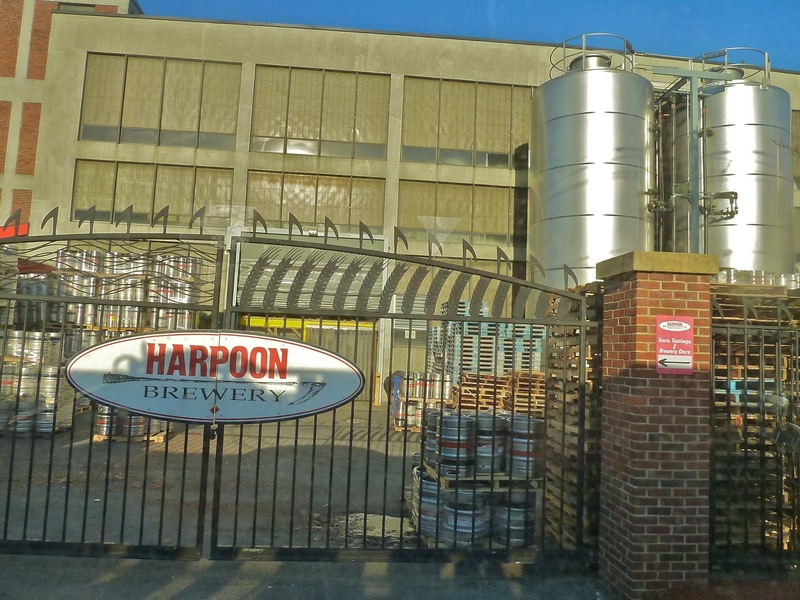 There are no stops on this sequence until the bus turns back in front of the Design Center, and then makes its way back onto Northern Ave. One of the landmarks here that I didn't notice before is the "Harpoon Brewery." It looked fairly impressive, actually. I mean, look at those massive tanks! It was charted territory from then, but at Silver Line Way, there was yet another five-second conversion! Simply crazy! After that, it was back into the tunnel with only a few people on the bus. World Trade Center and Courthouse were quiet as usual, and everyone got off at South Station. Having failed to get a decent picture of the bus, I actually crossed over to the other side of the station to get it going back to the Design Center. It was a pretty good picture, although I swear the driver looked at me funny. I just realized why the conversions were made so quickly: it's the purple headlights. They're magic. Ridership: Like I said before, not many people were on the bus on a Saturday. I'm sure during rush hour, it's full of people who go to work in the industrial area, and I'll bet it gets its fare share of tourists coming from cruise ships (because nothing says "welcome to Boston" like a disgusting industrial area). On Saturdays - and presumably Sundays - this bus is empty. Cons: Now I know I'm being a massive hypocrite here. I know I often rant about buses not running frequently enough. 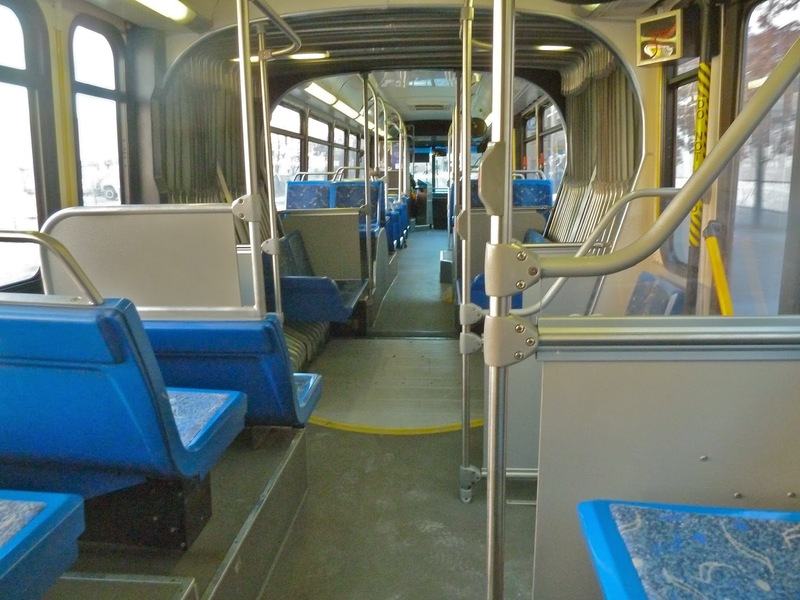 However, those buses had more ridership than the SL2. Therefore, I don't see why the SL2 needs to run every 15 minutes on weekends and nights. Instead, run most of the buses to the airport (because they're always packed), and maybe every half hour or even hour, a bus could go around the Design Center loop. There's just no reason for so many buses to go to such a deserted area, at least on weekends. And it's not even that long of a walk to Silver Line Way - just 10 minutes! Seems useless to even have this bus running. Nonetheless, on weekdays the current schedule can be operated, as I'm sure it gets decent ridership during rush hour. Nearby and Noteworthy: Industry. Big long buildings. Parking lots. Cruise ships. Beer. That's about it for this route. 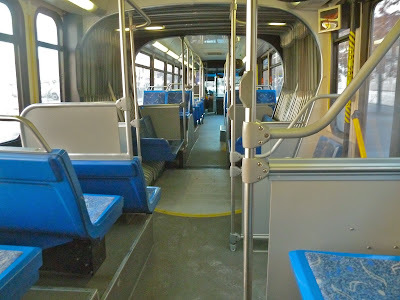 Seems like the SL2 is the first "bad bus" featured on the blog! But really, it just feels so unnecessary. There is simply no need for it to run on weekends, or even exist, in my opinion. I'd imagine the sort of people who work down there can handle a 10 minute walk. The only thing keeping this from having a lower score is the fact that although it's completely unnecessary, the bus does run quite frequently, which is nice. But pointless. The MBTA is extending late-night service! In Spring 2014, subway trains and Key Bus Routes will run until 3 A.M. Also, the MBTA broke a ridership record in October, likely due to the World Series. Finally, from December 9-13, you can help children or teens in need by donating toys to Fill a Bus With Gifts. More information can be found here, although it's a PDF.